Rhonda has been in the fitness industry since 1989. 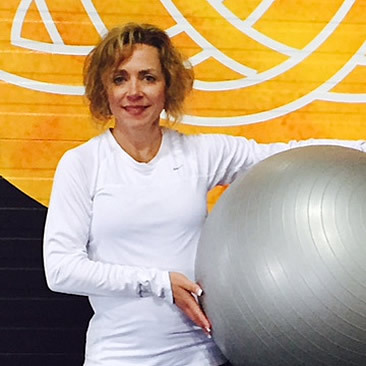 She leads group exercise classes, Pilates’, Barre and personal trains adults and children. Rhonda lives by the belief that daily exercise promotes good health, focus and eliminates stress. She has amassed a variety of credentials with AFAA including, Personal Trainer, Pilates’, Yoga, circuit and resistance training. Rhonda is also AFPA Certified Nutrition & Wellness Consultant and Silver Sneaker Certificated specializing in working with a senior population. Rhonda lives in Manchester with her husband and two boys.